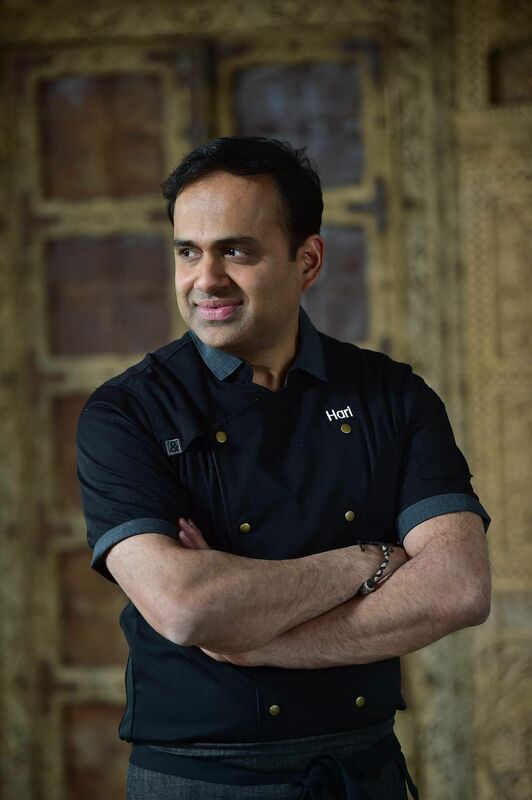 Chef Hari Nayak hails from Udupi, but has worked in Michelin starred restaurants in New York for the past 20 odd years and has six cookbooks under his belt. 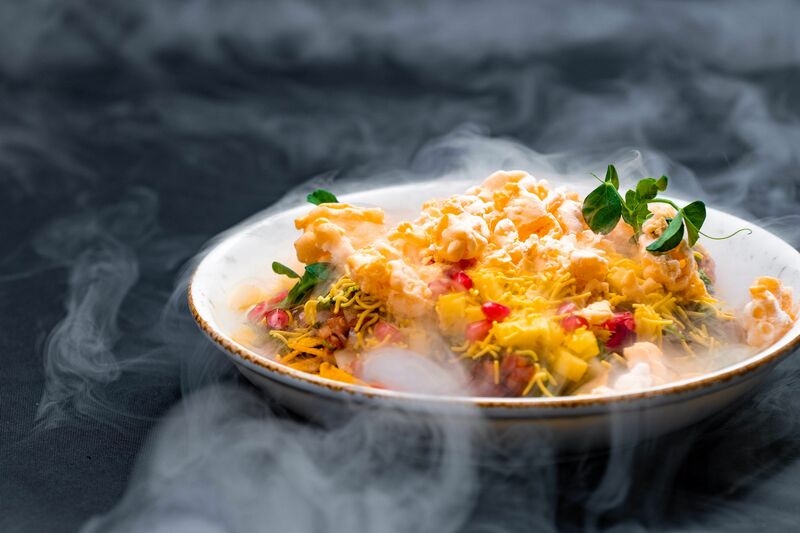 The menu at the upcoming restaurant Alchemy, at the Chancery Pavilion, is an innovative culmination of his experience and upbringing. “We have used as many local ingredients as possible,” says the chef as we sit down to dine at the chic restaurant on the 10th floor of the hotel. “I wanted to keep the dishes as familiar as possible, but give them a unique touch,” he adds. We were greeted with a cocktail called The Ghazal. With rum, almond, honey, ginger and pineapple, it’s as elegant as the name suggests. The first dish on the table was the Artichoke Aloo Samosas. Flaky filo pastry cones stuffed with artichokes instead of potato — it’s the hit of Wasabi cream that made this dish for us. The next appetiser we tried was the Tikki Trio, three kebabs made of quinoa and beet, kale and spinach, and wild mushroom, each. Another innovative dish was the Chicken Sukka Bulgogi, where the lettuce cups are swapped for mini appams — a winning combination. The Bengaluru Chili Kebab served as tacos, were also an interesting mix of cuisines. Wrapped in phulkas, the Chicken 65 pieces were topped with Korean Gojuchang sauce. We started our main course with the Five Cheese Kofta — cheesy dumplings best paired with the restaurant’s Jalapeno and Peas Kulcha, reminiscent of a kachori. The Kale Saag has goats cheese dumplings, and a fox nut crumble, and we paired it with their Soy Keema Cashew Rice. A special mention goes to the Honeycomb Masala Bread, the usual honeycomb bread but with a typical Bengaluru aloo bun filling. Some other options include the Spring Chicken Bharta and Duck Egg Kuttu. The dessert menu also scores high on innovation. We were served the Mysore Pak Cheese-cake, Gondhoraj Lemon Mousse and our personal favourite, the Hazelnut Holige. The holige was served on a bed of ghee soil, which melts in the mouth. 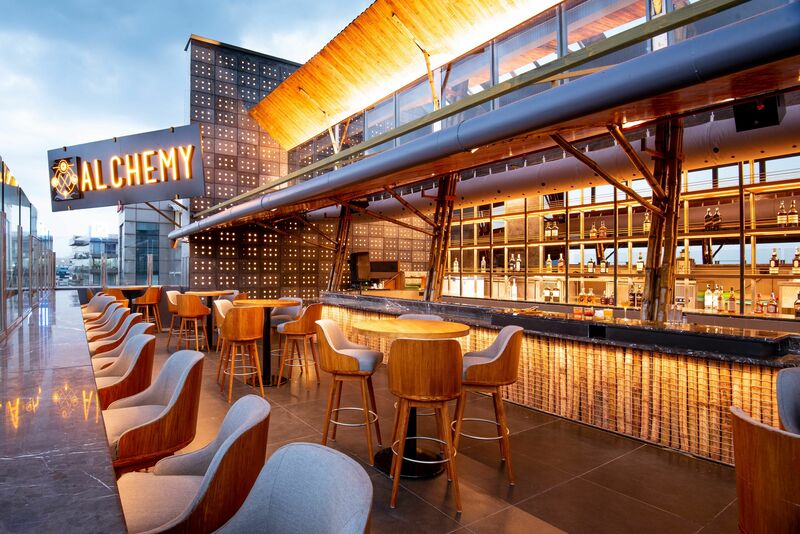 The menu, along with tasteful interiors, a stunning view of CBD and a soon to open brewery, make Alchemy a must try.